The first number is for the amount of Nitrogen, which is the basic building block of plant proteins and a major ingredient of chlorophyll which, through photo synthesis, produces food for plants and makes them green. Too much nitrogen fertilizer can result in weak, leggy plants with few flowers and fruit but lots of lush, tender foliage, which makes them susceptible to pests and diseases. That’s why it is especially important to apply nitrogen fertilizers according to the rates on the package. strengthens plants against environmental stresses. Most annual plants and many vegetables require more phosphorus, particularly in the beginning of their growing season. Older, more established plants need less phosphorus. 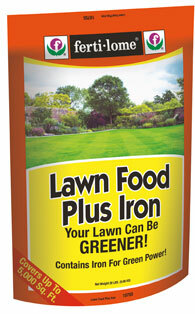 Several good “bloom fertilizers”are formulated with extra high levels of phosphorus. improves drought resistance by reducing water loss from leaves. New Mexico soils are naturally high in potassium so plants grown in the ground here rarely need additional potassium. However, plants grown in containers filled with potting soil need potassium (as well as nitrogen and phosphorus), because it is not naturally present in commercial potting mixes. Plants Also Need Micronutrients N-P-K are not the only nutrients plants need for optimum growth and health. Iron, zinc, copper, magnesium, manganese and many others are needed in small, but essential, quantities. They are called trace minerals or micronutrients, and without them plants can develop trace-mineral-deficiency diseases. Check fertilizer labels for the presence of micronutrients (the best brands will contain them). Southwestern soils are typically highly alkaline, with a pH greater than 8.0. For high-alkaline soils we recommend annual applications of sulphur which naturally reduces the pH and releases micronutrients that are present in the soil but are bound up. Low levels of iron are indicated when plants develop chlorosis which shows up in plants as yellowed leaves with green veins. Iron sulphate is the most popular iron supplement because it contains iron in a form plants can readily absorb. But be sure to follow label directions exactly. Too much iron sulphate can burn a plant’s roots. 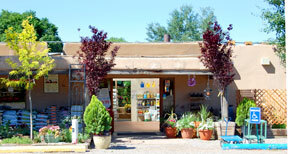 Come in to either Payne’s Nurseries Garden Centers for expert advice on which fertilizer is right for your plants needs.